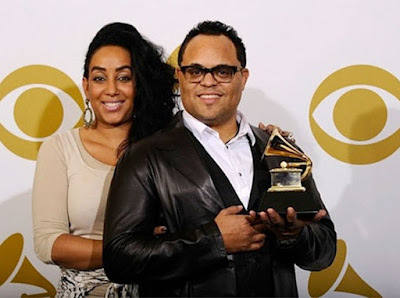 Marriage of Israel Houghton crashes as wife wants Divorce for his cheating! 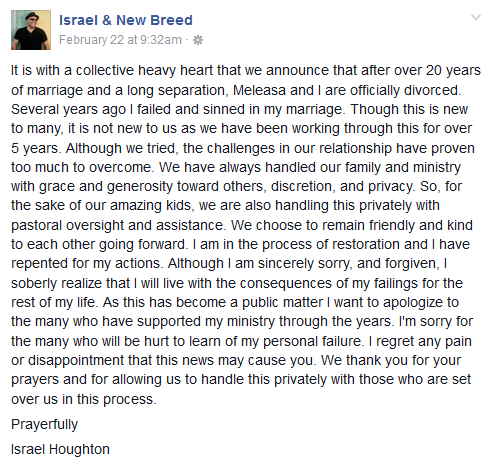 The marriage of popular gospel singer Israel Houghton has come to an end.The Grammy award winning Gospel singer took to his Facebook page on Feb. 22nd to announce that he and his wife Melease are getting divorced. There were rumors that Israel had cheated on his wife with another gospel singer and she filed for divorce after she found out. He kinda admitted to messing up but didn't out-rightly admit to cheating. Read what Israel wrote after the cut..